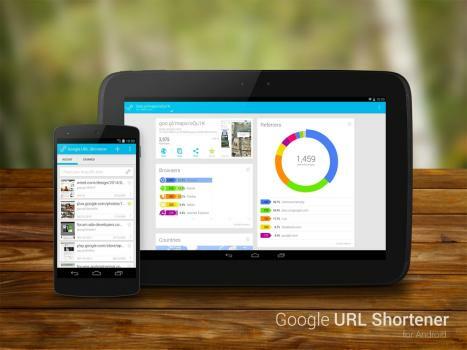 Google has released a URL Shortener Android app that helps you shorten and track URL's. Google has launched a new Android app to help you shorten URLs. It will also provide analytics to see who is actually clicking on the link. The app has been developed by Thomas Devaux and can be downloaded from the Google Play store for free. Google has already been providing the URL shortening service goo.gl for a long time now. Users could log in to the site, paste their long URL and Google shortened it for them. Now with the URL Shortener app, which has a clean looking card style user interface, comes with an ability to star your favorite short URLs and access your history as well. The app has been optimized for a variety of devices including smartphones and tablets. 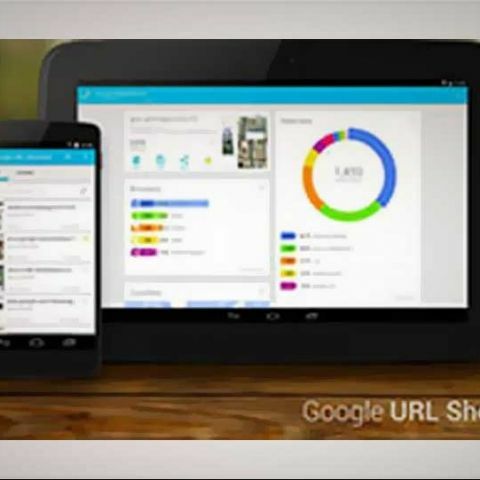 Google URL Shortener also brings the ability to access your data offline. Users will also be able to get reports and statistics. Clicking on any shortened link from within the app will offer the basic analytics such as total clicks. Users can also access detail in terms of referrers, browsers, countries, and platforms. The app supports Android’s ‘share intent’, so web pages from Android’s browsers can be shared to and from the app. Apart from Google URL Shortener, there are plenty of other options for URL shortening. Social networking sites already do it for you automatically. However, by using Google's service you will also be able to see how effective your posts are and since you can install it on your Android device, you can check or shorten your links while on the move. Any Alternative android app for UTORRENT?